Venezuela sends 10 tons of humanitarian aid and medical equipment for Gaza. Venezuela sent 10 tons of humanitarian aid and medical equipment for Gaza on Sunday, the Palestinian Authority’s (PA) embassy in Caracas said in a statement quoted by the Ma’an news agency. According to the report, a plane carried the aid from Caracas to the Amman airport, and the same plane will bring to Venezuela 100 Palestinian Arab students who have been granted scholarships to study in the country. Last week, Venezuela's president Nicolas Maduro said his country would grant 1,000 Palestinian Arabs scholarships for Venezuelan universities. Linda Subih, the PA’s ambassador to Venezuela, said in the statement that she and 31 young Venezuelan men and women would accompany the aid to Amman, after which it would be sent to Gaza. Israel on Sunday closed the border crossings to Gaza, a response to a rocket attack on the Eshkol region on Friday night. A senior security source said Sunday afternoon that Prime Minister Binyamin Netanyahu and Defense Minister Moshe Ya’alon sent “sharp messages” to Hamas following the rocket attack. 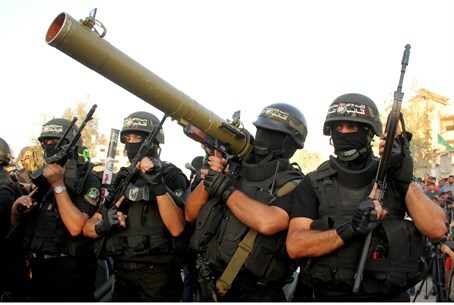 The source added that Hamas arrested five suspects in the firing of the rocket and sent a message to Jerusalem according to which the organization is committed to the ceasefire. Israel regularly allows humanitarian aid and other materials into Gaza, even as Hamas continues to fire rockets into Israel and despite Hamas’s claims that Israel is imposing a “siege” on Gaza. Israel has approved hundreds of internationally funded and monitored projects in Gaza, and Hamas has “returned the favor” by building dozens of terror tunnels which lead from Gaza into Israeli communities.